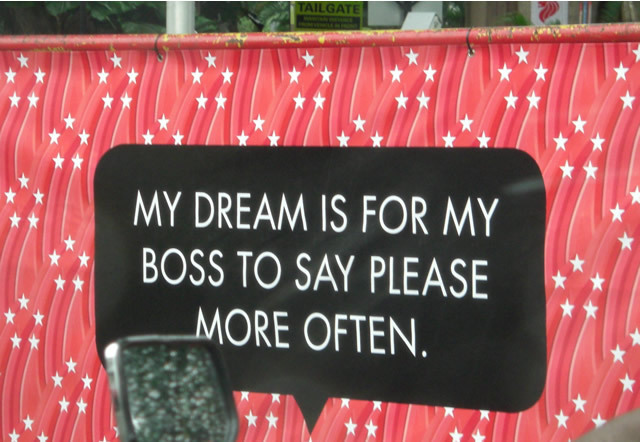 Spotted this near the Padang while driving to Marina Square earlier today. I can't believed what I was seeing and just have to take a photo of it. Pathetic, I thought. After becoming a first world economy and society, something as mundane that it does not even begin to be considered gracious must be one of the Singaporean Dreams for this National Day celebrations. 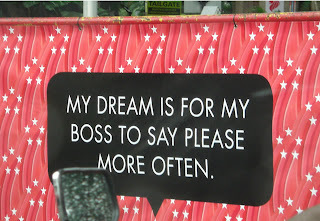 So lots of bosses shout down their subordinates in Singapore? Are we too afraid to put up more inspiring dreams. I am not even thinking of landing on the moon.